These days to be a movie star means a much lesser and more modest level of fame than in the golden age of cinema and pop culture. With bloggers and journalists constantly pondering if viral celebs are going to join the ranks of film and TV actors, it’s easy to forget there are still working performers who are trying to make a name for themselves on the silver screen. Two darlings in the arthouse/independent film community seem destined for a big breakthrough in the next couple of years. Maybe not the superstardom of Drew Barrymore or Jennifer Lawrence, but perhaps the subtle level of Melanie Lynskey and Rooney Mara. 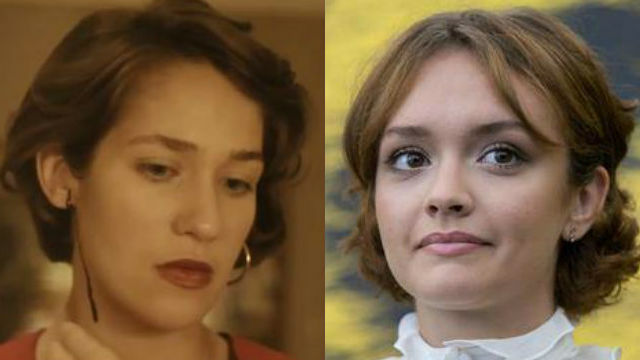 I’m referring to Olivia Cooke and Lola Kirke. Both are English-bred girls and both are taking over American indie flicks. Lola is the daughter of Bad Company drummer Simon Kirke and younger sister of “Girls” (2012-17) star Jemima Kirke. Despite some nepotism, the 27-year-old has managed to maintain a low key, quiet lifestyle in New York City unlike some of her socialite peers. Since graduating from Bard College in 2012, Lola quickly got parts in the small budget features Another Happy Day (2011) and Song One (2014), and even a bit part in David Fincher’s hit thriller Gone Girl (2014). Since then, Lola drew praise as the lead in Noah Baumbach’s Mistress America (2015), gained an appearance on the cult favorite series “The Leftovers” (2014-17), a supporting role in Doug Lyman’s American Made (2017) and co-lead in Amazon’s “Mozart in the Jungle” (2014-18). Currently she’s starring in the overshadowed, but fairly impressive, Gemini with Zoe Kravitz, and later this year Lola will co-star with her sister Jemima in Emma Forrest’s Untogether. On the opposite extreme, 24-year-old Olivia comes from a working class background and grew up performing in local stage productions and TV commercials in Manchester. Rather quickly after finishing school, Olivia was cast as a regular character on the TV show “Bates Motel” (2013-17) and the lead in the horror schlock Ouija (2014). Thus far she’s build a lot of indie cred with Me and Earl and the Dying Girl (2015) and Thoroughbreds (2017). Thoroughtbreds just got a limited release only a couple of weeks before her first big studio blockbuster, playing Art3mis in Ready Player One. In the future, Olivia has starring roles in Life Itself with Oscar Isaac and a new mini-series adaptation of “Vanity Fair.” Humorously enough, both Cooke and Kirke seem to have been typecast as American characters in their young careers, much like fellow British actress Claire Forlani back in the 1990s. Every actress has her place in the spotlight, and I hope Kirke and Cooke make the best of it.